A Masters by Research provides a strong foundation for undertaking a PhD or working in a research career. 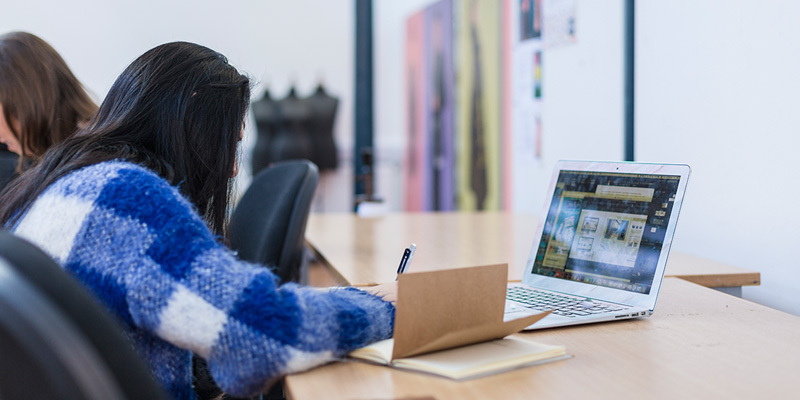 It is also a great way to further develop your passion for design innovation and research by undertaking intensive research in an area of interest to you. You can complete our Masters by Research in one year (full-time) or two years (part-time). You'll undertake independent research under the guidance of your supervisors who will have a working knowledge of the area you wish to specialise in. You'll be examined exclusively by a thesis and there are no taught modules on this course. Your research will involve conducting your own analysis and conclusions based on your personal study of primary and secondary source materials and you'll produce a 30,000 word dissertation which will be submitted at the end of the course. These broad categories are reflective of the interdisciplinary nature of the School and we can usually support research in the area you are interested in. Please contact us to discuss potential research supervision areas. We have an exciting opportunity for a fully funded MSc by Research project starting in 2019 on Microfibre Pollution from Textiles and Clothing. Find out more.